Christmas is one of my favourite times of year - not just because I get to spend plenty of time with family without the back to work guilt after a couple of days but also the food. I love Christmas food - Mince Pies, Pigs in Blankets, Christmas Drinks. You name it and I will eat it. Aside from eating all the Christmas food, I also love to gift people food. Simply because food is meant to be shared and enjoyed. In addition, you are guaranteed to find something that someone loves. Marzipan is one of those traditional Christmas treats which appears in abundance around this time of year. It comes in so many shapes, sizes and not to mention flavours too. 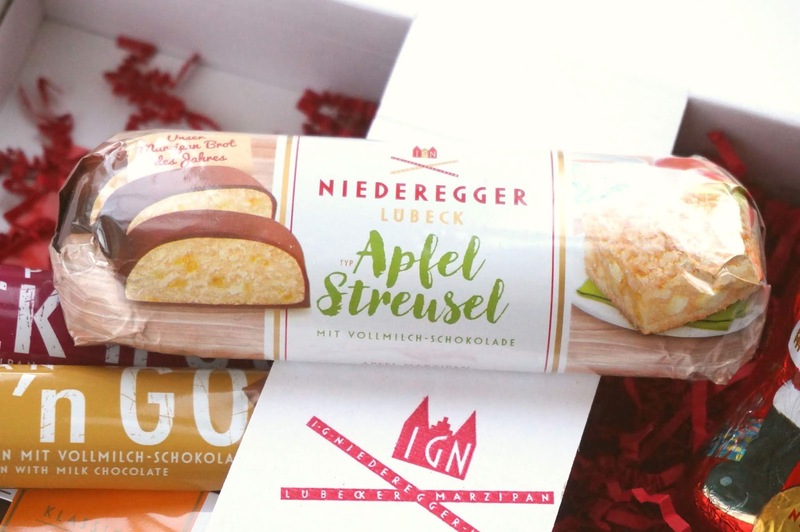 Niederegger is one of the world's most loved and oldest Marzipan brands. Since 1806 the same family recipe has been passed through generations to make the Niederegger Marzipan we know and love today. 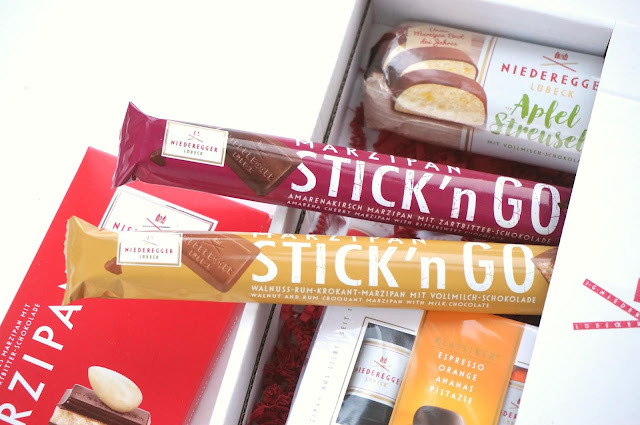 One of the Christmas gifts available from Chocolates Direct this year is this beautiful Niederegger Marzipan hamper. 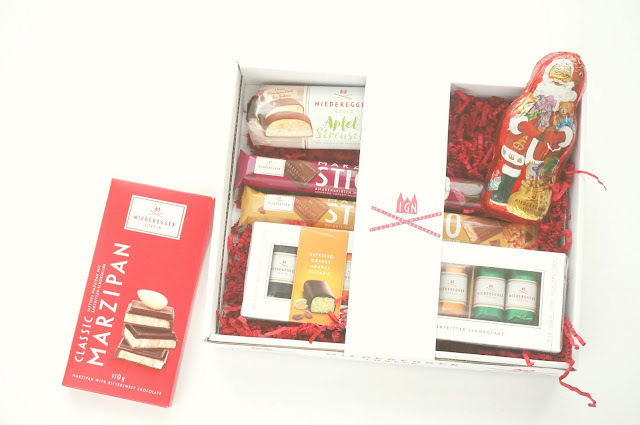 The hamper contains an assortment of Niederegger's most popular products. 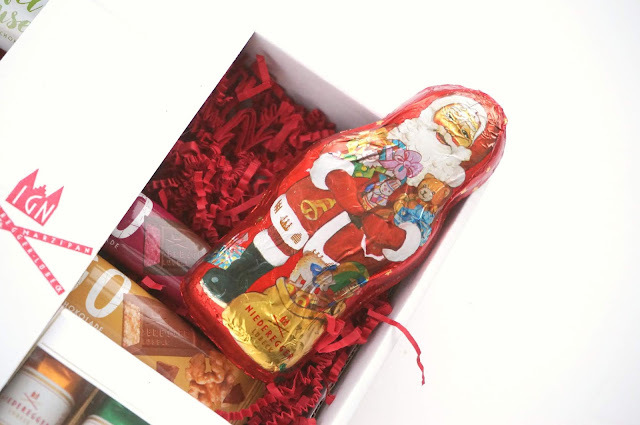 From a Dark Chocolate Santa to an Apple Strudel and even mini marzipan loaves, it is bound to delight even the seasoned Marzipan fan. In fact, I would say that there is something in there for every single member of the family.